Media and Press Compatibility. Leading Inkjet OEMs Focus on Media Compatibility. Press manufacturers are working hard to facilitate a growing list of media options and improved image quality. 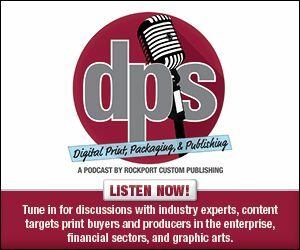 In the October issue of DPS Magazine, two separate articles focus on inkjet media—one from the media provider perspective and the other from the point of view of original equipment manufacturers (OEMs). To complement this editorial, we highlight specific features and advancements of high-speed production inkjet presses on the market provided by the OEMs. Production inkjet presses from Canon Solutions America are compatible with offset coated papers, untreated sheets, inkjet treated sheets, and inkjet coated sheets. Lucy Perez-Sierra, senior marketing specialist, media and papers, Canon Solutions America, explains, for offset coated papers, aqueous inks traditionally do not print well. However, with the combination of Océ ColorGrip technology and the new Océ ProStream inks, it is now possible to print on offset coated stocks with a production inkjet press. On untreated sheets, the Océ ColorStream Series, Océ ProStream Series, and Océ VarioPrint i-Series print with untreated sheets. ColorGrip enhances the output on untreated sheets. Inkjet treated sheets print well with the Océ ProStream series, Océ VarioPrint i-Series, and Océ ColorStream series. Inkjet coated sheets run on the Océ ProStream series, Océ VarioPrint i-Series, and Océ ColorStream series. “ColorGrip on the Oce VarioPrint i-Series acts as a binder or surface treatment similar to inkjet treated paper to expand media choices. ColorGrip helps enhance image quality on papers not designed for inkjet, giving these papers a quality rivaling inkjet treated stocks. “The new printheads, ink sets, and drying mechanisms of the Océ ProStream series allow printing on offset coated media. This expands inkjet application options into the commercial printing realm,” says Perez-Sierra. The VIVIDIA ink used in Fujifilm’s J Press 720S is a aqueous-based pigment ink that performs similar to offset ink. Output is smooth and dry fitting into existing finishing lines. The inks also offer an extended color gamut meeting much of what brand owners expect from an ink’s performance and gamut, explains Pierce. The J Press 720S also runs uncoated and coated stocks using the P22 VIVIDIA aqueous-based pigment inks. Pierce says it can also run treated, but inkjet treated stock isn’t necessary with the J Press 720S. The J Press 720 S uses a proprietary system that coats each sheet with Rapid Coagulating Primer (RCP) in real time before the sheet reaches the jetting cylinder. Fujifilm’s RCP is odorless and colorless and acts as an ink receptor to essentially freeze the small two picoliter droplets of ink in their place to avoid the spreading of the ink droplet into the fibers and spreading out. This proprietary technology is what allows the J Press to run both coated and uncoated standard offset stocks. HP’s PageWide Web Presses run uncoated, coated, and treated media. “HP’s strategy is to give the customer choices with fewer constraints in printing on a virtually unlimited range of media. HP PageWide Presses print to every category and paper. PageWide Web Presses can reliability handle paper weights from 40 to 350 gsm. Print providers can enjoy compatibility with all paper types, including coated offset, coated inkjet, uncoated offset, uncoated treated, and ColorPRO coated and treated. HP’s patented bonding agent is ideal for uncoated media with lighter coverage,” says David Murphy, worldwide marketing director, PageWide Industrial Division, HP Inc.
HP expands its range of media compatibility for HP PageWide Web Presses using a precoat or priming solution that involves additional inline hardware and fluids. The priming method can be less expensive than using enhanced inks that enable printing on some offset stocks. The solution can be turned on or off for each specific application. If the print provider’s ongoing print volumes or applications do not justify the investment in priming, then using papers that are already treated or inkjet coated can be less expensive than both options, explains Murphy. HP’s Media Operations division develops paper solutions with a range of partners for inkjet media. HP’s ColorPRO team develops ColorPRO technology and media with partners worldwide. The company’s paper Certification Program tests media in Corvallis, OR in the U.S. as well as Barcelona, Spain and has certified more than three hundred different media for the PageWide Web Press portfolio. “Our engineers, chemists, chemical engineers, and paper experts work directly with the industry’s leading paper mills to bring new value to print providers and their brand clients,” says Murphy. Advances in high-speed color inkjet systems have extended the realm of digital printing from monochrome transactional applications to color-critical books, catalogs, and magazines. “Today a broad range of commercially available inkjet compatible substrates can be run on Kodak Prosper presses at full press speeds up to 1,000 feet per minute,” says Will Mansfield, director, worldwide marketing and category management, enterprise inkjet systems, Kodak. These include industry-standard uncoated, coated, and even glossy papers from 42 to 270 gsm. For packaging applications, the Prosper 6000S simplex press extends the substrate weight range up to 405 gsm. Kodak’s Prosper presses feature self monitoring, automated color. The Kodak Prosper 6000 Presses offer inline image health monitoring and advanced software controls that enable closed loop adjustments to refine and improve output quality across all substrates. Throughout the run—at full press speeds—key metrics such as press efficiency, imaging performance, and registration variations, are automatically tracked and reassessed. Any needed adjustments are made without interruption or operator involvement. Prosper presses also feature fast, intelligent drying. Mansfield points out that Prosper presses have an intelligent inter-station drying architecture that uses near infrared energy to dry inks immediately. “This gives customers’ work the high-value look, feel, and bulk of offset they expect, without the cockle and curl seen in other inkjet presses with less capable drying.” The presses also adjust for ink load, web speed, and substrate, delivering consistently high-quality prints without sacrificing productivity—even on gloss coated papers. It also offers a choice of web paths. The flexibility of multiple paper paths minimizes press downtime by reducing potential substrate issues. “This, combined with its variable speed capability, greatly reduces paper waste, both during press setup and press stops.” Mansfield also points out that Kodak Stream Inkjet Technology allows for greater distance between jetting modules and substrate, eliminating much of the potential for damage to the web or to the modules themselves when integrating automated splicers. The splicing doesn’t require the press to stop printing as is the case of drop on demand devices, he explains. The Kodak Prosper 6000 Presses feature patented anti-wrinkle rollers that enable heavy ink coverage to be printed on lightweight papers without the wrinkling that can occur on other presses. They also include an air cushioned turn bar that enables more paper types to be printed at full speed with less scuffing or scratching. For customers that do not want to print on mill treated inkjet papers, the Kodak Prosper Image Optimizer Station prepares commercially available substrates for inkjet printing, enabling customers to pretreat and run industry standard uncoated, coated, and even glossy papers, says Mansfield. For more than 40 years, Kodak—in collaboration with 40 paper mills around the world—has tested more than 5,000 paper samples. “That pioneering spirit continues, as we work with 40 mills today to develop new papers that will advance the industry. With an extensive knowledge of paper, coating, additives, and manufacturing, Kodak has led the development of more than 100 paper weights specifically formulated for continuous inkjet printing,” says Mansfield. To inform and simplify the paper purchasing decisions facing design and production professionals, Kodak developed the Prosper Paper Rating System. Using standard test conditions, Kodak evaluates substrates on five key metrics, optical density, show through, line raggedness, color to color bleed, ink mottle, and uniformity. The Prosper Paper Press Rating System provides image quality ratings for more than 80 substrates. Dino Pagliarello, VP, project management & planning, Konica Minolta, says print quality of production Inkjet technology has greatly improved over the past five years. This is due to advancements in printhead technology offering an increased amount of nozzles and a smaller picoliter droplet. Advancements in Ink technology have also added to inkjet print quality with the introduction of UV inks and better LED curing. UV Inks with new dot freeze technology can hold and eliminate the ink-spread or dot gain. Advancements in printhead technology, and improved inks types all contribute to offset-like print quality. He adds that production inkjet presses offer a wider range of media substrates, which gives a printer the capability of printing more print job applications. The Komori Impremia IS29 accepts a range of substrates. Paper substrates include, but are not limited to, uncoated, gloss coated, matte coated, textured, and embossed stocks—without the need for pretreatment of any type. In addition to paper substrates, the IS29 also prints on many synthetic substrates with the same throughput and print quality as paper, comments Scott Robertz, digital printing systems product manager, Komori America. Komori’s inkjet portfolio uses only pigment-based inks. Robertz says these inks contain vibrant pigment colorants that create an expanded color gamut. The press also features UV ink/LED curing, which provides instantly dried sheets, enabling simple pass perfecting, “something that sheetfed aqueous inkjet products cannot currently do. It also allows the sheets to be finished immediately after printing,” offers Robertz. Ricoh supports uncoated, coated, and treated media options. Uncoated stocks run in the InfoPrint 5000, Ricoh Pro VC40000, Ricoh Pro VC60000, and Ricoh Pro VC70000. Treated media is compatible with the InfoPrint 5000, Ricoh Pro VC40000, Ricoh Pro VC60000, and Ricoh Pro VC70000. The Ricoh Pro VC60000 offers an undercoating solution that allows offset commodity papers to be compatible with it. The Ricoh Pro VC70000 does not require any pretreatment or undercoating. “We are in close and constant contact with paper mills. In our Boulder, CO facility we have 3,000 rolls of inventory. When we test media, we invite the mills’ engineering department to be on site during the process. Through this we provide them with specific feedback so they can improve their papers and ensure compatibility,” says Dave Bell, manager, product marketing, media, Commercial & Industrial Printing Business Group, Ricoh. Even when a paper passes, continuous testing is performed to understand just how much ink it can handle. For coated, the company is able to print with offset coated media on the Ricoh Pro VC70000. “Depending on testing, we are able to accept the vast majority of inkjet coated media for our other platforms,” says Bell. All Screen ink sets can print on uncoated papers on all Screen Truepress Jet 520 Series printers. Lithocoated stocks require a proprietary Truepress SC ink for the Truepress 520HD; inkjet coated or treated stocks are supported on all Screen Truepress Jet 250 Series printers. Screen Graphics Group in Kyoto, Japan works directly with mills and coating companies at the engineering level to develop inks, drying technologies, and wave forms to best address coatings and surfaces. Then Screen subsidiaries such as Screen America work directly with mills and suppliers to certify and profile papers in the field. In terms of ink, the Screen Truepress Jet 520HD offers both its SC pigment and MD dye inks. The Truepress Jet 520 ZZ, NX, S, and EX/M feature ID2 dye inks and pigment. Schlimme says the Screen high-density dye ink provides the same gamut as most pigment inks with reduced maintenance and costs. The company continues to work on custom ink development and formulation with its partners for improved runability and gamut. It is on the third full release of dye ink over the past five years. However, pigment is desirable for more permanence. Xerox has invested in the development of ink sets that are flexible for a full range of substrates, without the need for a precoat. “By reducing water within the ink formulation and eliminating the need for additional consumables, we are able to minimize water content introduced to the paper during the print process. The result is a more economical print that minimizes risk in finishing,” say Deana Conyard, worldwide marketing manager, continuous feed inkjet, and Beth Barrese, inkjet media specialist, Xerox Corporation. High Density (HD) ink is a pigment-based ink offered on all of the Xerox inkjet platforms including Brenva, Rialto, and Trivor. It is optimized for vibrant color printing on plain, digital, and offset uncoated medias without the need for primers or bonding agents, lowering overall total cost of ownership. If higher color density is required, the ink set is also compatible with inkjet treated and inkjet matte, silk coated media. However, these media generally come with a price premium. High Fusion (HF) ink is also a pigment-based ink currently offered on the Trivor platform. This ink has been optimized for printing on traditionally offset coated media—matte, satin/silk, and gloss, to deliver offset-like quality without the need for primers, pre coatings, or post coatings. The ink is capable of printing on uncoated media for customers with broad substrate requirements. Xerox continuously tests a range of paper types from a variety of suppliers for performance across all three of its inkjet platforms using both its HD and HF ink sets. “We actively share results of our testing with the paper suppliers to aid in future product development. We also publish at Tested Media List, which guides our customers in paper selection, helping them find the most optimal paper type for their job,” say Conyard and Barrese. High-speed production inkjet, in both continuous and cutsheet configurations, serves a growing demand for digital printed output. One major barrier of adoption has been media compatibility, cost, and availability, but all ends of the spectrum are working together to remove this challenge.